The Financial Times recently reported that "Half of the 15,000 mutual funds in the US are run by portfolio managers who do not invest a single dollar of their own money in their products". It went on to name funds management giants like Vanguard, Black Rock and State Street as organisations where the majority of their funds were run by managers who had not invested anything in the funds they controlled. 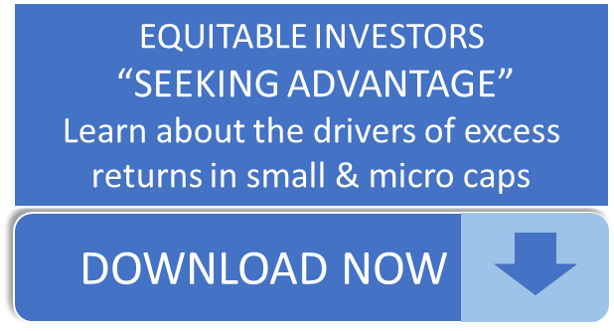 We are proud to say that Equitable Investors' investment manager and owners seeded the Equitable Investors Dragonfly Fund directly and consider it their primary conduit for their personal exposure to equities. Alignment has been important to us from the start and Equitable Investors also stated its intention, in the Dragonfly Fund's Information Memorandum, that at least 50% of performance fees shall be paid in units in the Fund in the first three years of operation.